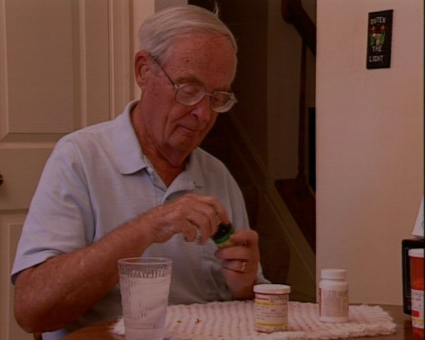 More than eight in ten older adults take medication daily, often more than one. As a result, drug side effects, drug interaction and drug withdrawal pose serious dangers to the elderly. In this program viewers get an overview of the factors that put the elderly at risk and are shown how to recognize symptoms of adverse reaction, such as changes in eating patterns, depression, dizziness and insomnia. Included are ready to copy tools for noting and remembering medications.